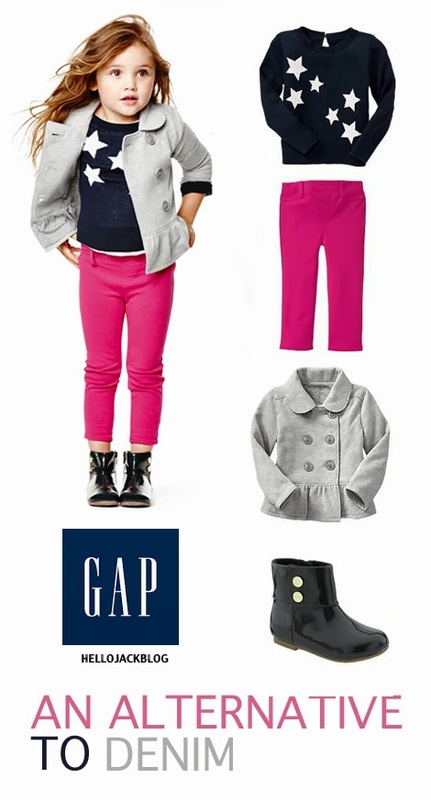 Made of soft stretchy knit, GAP's Ponte pant is the perfect alternative to denim for fall. It fits and feels like a legging making it the perfect piece for active little girls. Check out the complete look below!